Are you someone who is moved by images that contain in them a feeling of movement? Have you wondered how a fast-moving car, or a man riding a bike or skateboarding, or a flock of birds in flight, or a cheetah hunting are breathtakingly focussed and captured into stunning frames, with their background being a streaky-blur to emphasise their movement? Then watch this space today for some fun images that depict the technique called ‘panning’ in photography. Panning is a technique required to photograph in a continuous burst any subject moving across the frame, but you can pan with either a slow shutter speed or fast shutter speed, depending on the result you want. Using an appropriately slow shutter speed while panning enables you to keep the subject sharp while blurring the background into streaks. The scarlet macaw is a gorgeous bird that can be seen and photographed in the cloudforests of Costa Rica. 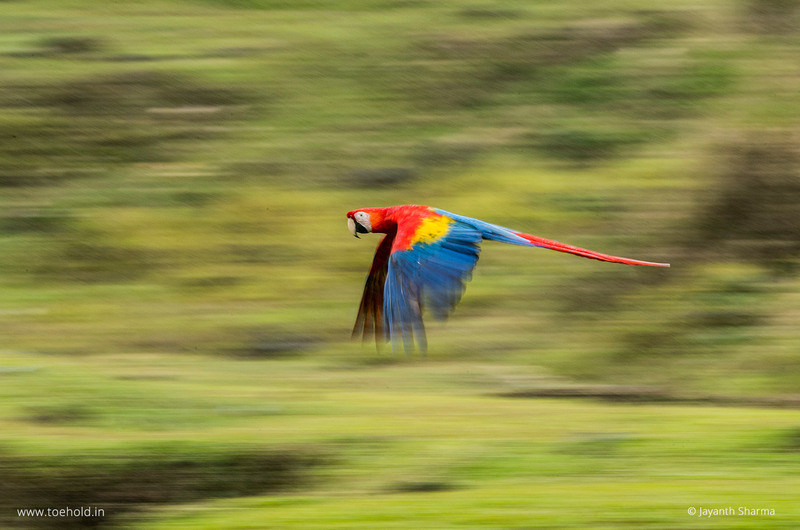 Here is a slow-shutter pan shot of a scarlet macaw in flight, against a forest-green background. The camera is panned along the direction of the bird-flight – the moving subject – to get the macaw sharper than the forest that has become blurred in the background. Thus, while keeping the moving macaw in focus, its movement (flight) is still captured into this dramatic frame. Here is another slow shutter panned image. 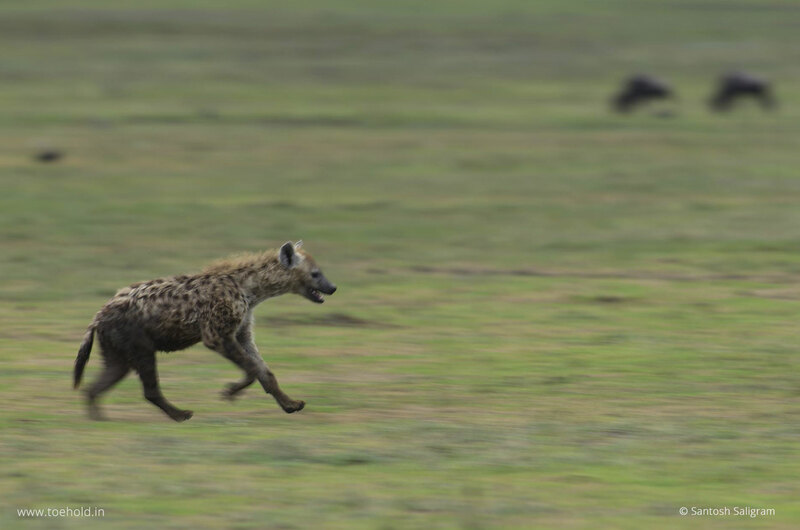 While the scarlet macaw in flight, featured in our previous post, is captured using a faster slow-shutter speed, this spotted hyaena, which is slower than the bird, is captured using a slower slow-shutter speed. If you wish to make panning images, it is important that you determine the shutter speed based on what the scene unfolding before you demands. Because camera shake is a problem at slow shutter speeds, one great option you can choose for better camera panning is the optical image stabilizer, in the panning mode if your camera or the lens has it. 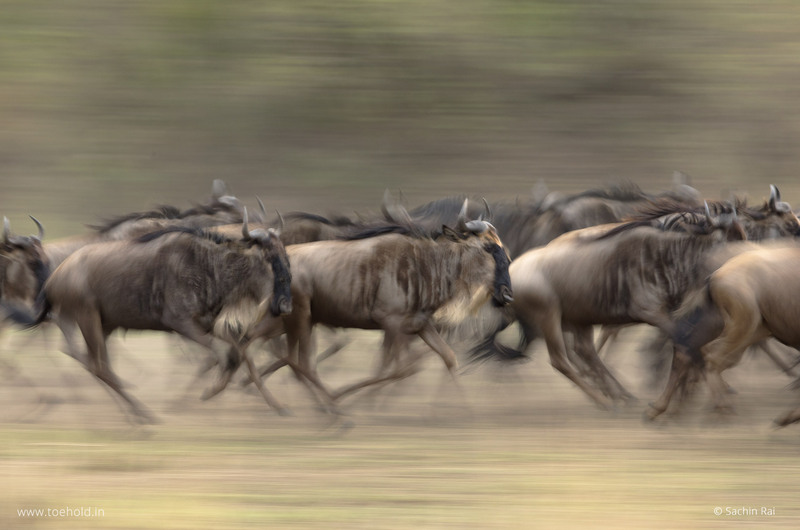 This helps you cut motion on the vertical axis while retaining it in the horizontal axis, just like this dramatic image of wildebeests captured during the Great Migration in Kenya. As discussed in one of the previous posts, you can pan with either a slow shutter speed or fast shutter speed, depending on the result you want. 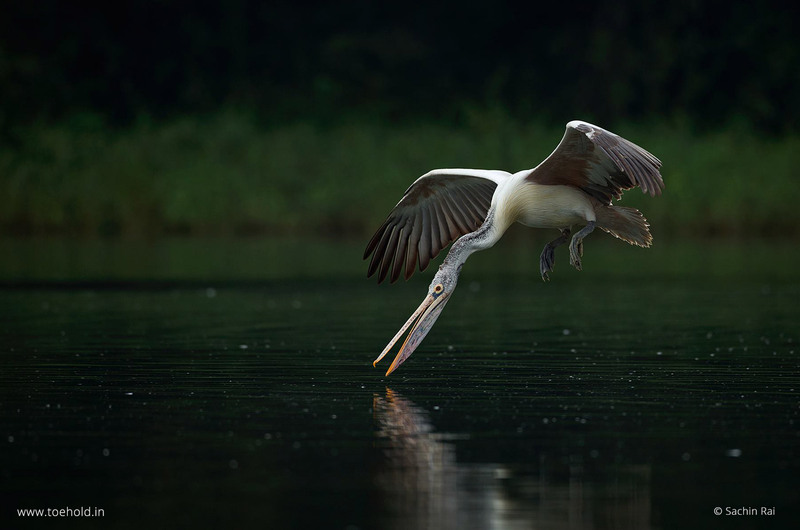 Using an appropriately slow shutter speed while panning enables you to keep the subject sharp while blurring the background into streaks, and using fast shutter speed helps you keep not only the subject sharp but also avoid motion blur, like this image of the beautiful pelican made in Ranganathittu. Tags: PanningphotographyPhotography DictionaryPhotography JargonToecabulary: Photography Terms Explained.